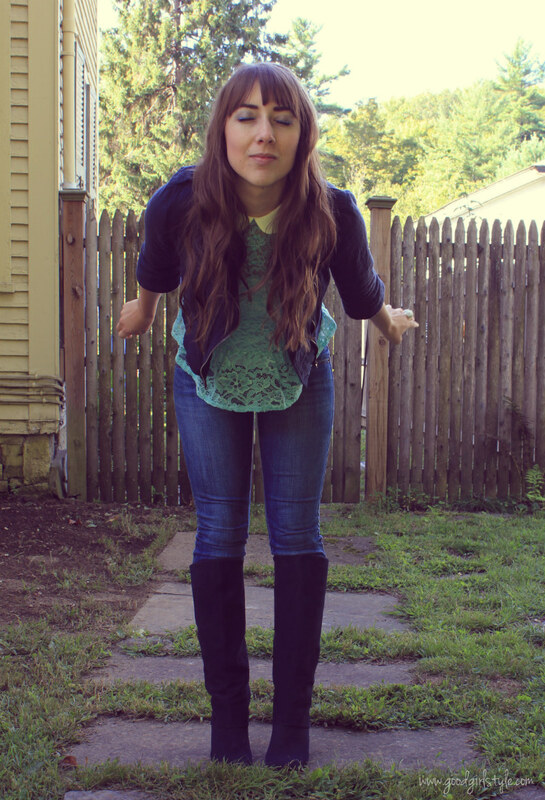 Good Girl Style: Blue Suede Boots, Baby! 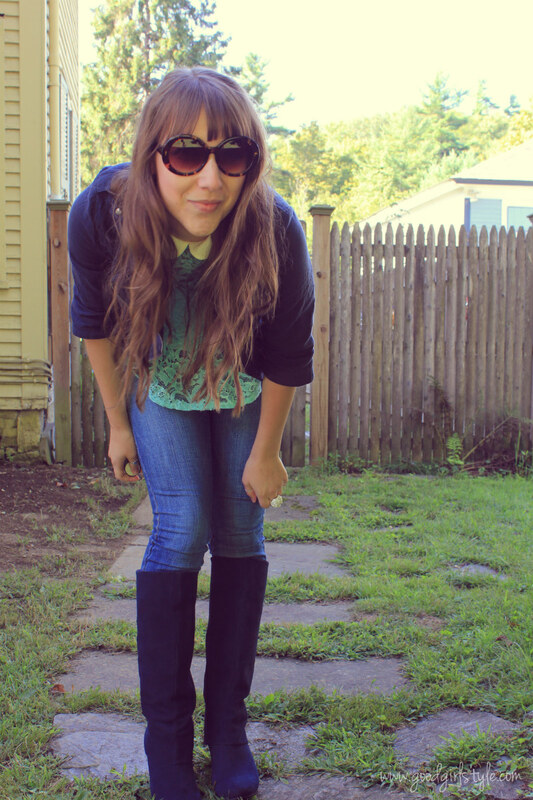 Oh heeeeeeeeey blue suede boots, baby! Oh heeeeeeeeeeeey giant new awesome sunglasses! Oh heeeeeeeeeey blue makeup and waves in my hair! I think I like all of these things quite a lot. The perfect mix of summer and impending autumn. Heeeeeey, cute girl! Love the boots and the outfit! Haha, this comment makes me smile :-) Thanks, Julee! 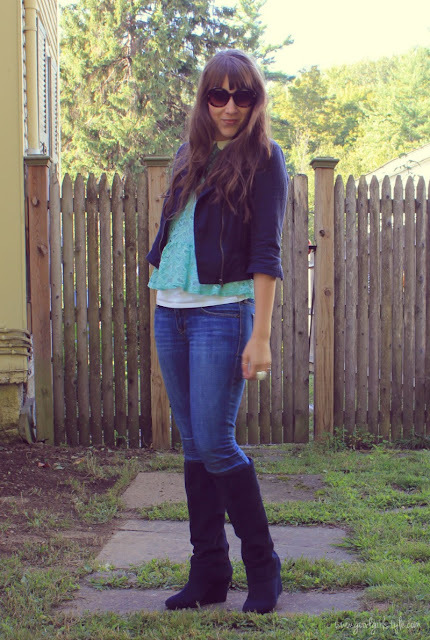 Almost-fall fashion is the best!